A large number of homes built between the mid 1960’s and mid 1970’s were built using aluminum wiring instead of the more expensive copper wiring. Aluminum wiring in homes during that era was commonly used as a cost-saving measure. Years down the road, however, unanticipated fire hazards arose from the oxidation and deterioration caused at the points where aluminum wiring was connected at outlets, light fixtures and splices. This can cause overheating and arching that won’t trip a circuit breaker, but can cause a fire. The Consumer Product Safety Commission estimates that about 2 million homes, a number of which are in Northern Virginia, still struggle with the aluminum wiring conundrum. The cover of the power cable running from the electrical meter to the electrical panel inside my house was badly frayed and had to be replaced. I searched through the angel’s list, and identified one with the most customers’ feedback and the highest rating, and it was the Root Electric. As it turned out, they deserve all the kudos that their customers have lavished on them.What they ended up contracted to do was a electrical service upgrade from 150 to 200 amp for my house. In addition to all the wiring and rewiring they had to do, they secured the county electrical permit for the upgrading, scheduled a visit by the county inspector for their work, arranged for the power company to replace the other section of the power cable and hook up the new electrical meter, and then they scheduled another county inspection. This was a big help for me because I didn’t even know what I had to do and whom I should call. Throughout this whole process, they were responsive to all my questions either in person, by phone or by email, keeping me informed of the scheduling and wasted little of my time, and caused little interruption of our daily life. We were without power for less than two hours. Their charge was competitive to those special promotions that some other electrical contractor advertized for similar upgrading. Needless to say, I’m extremely pleased with their work and will definitely call on them when I need any electrical work done. Call Root Electric at (703) 494- 3989. 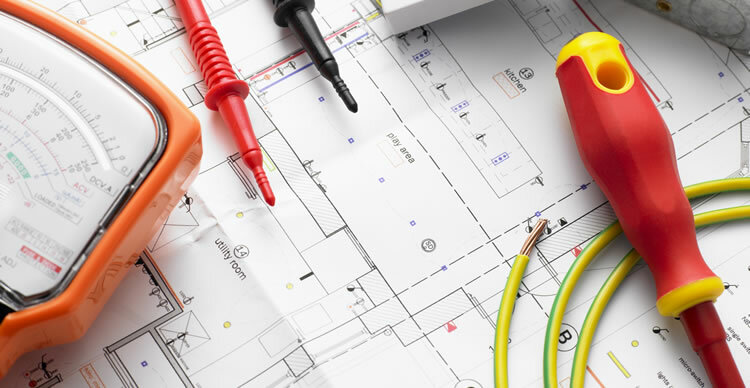 We will send one of our expert Northern Virginia electricians out to evaluate aluminum wiring in homes to determine, on a case-by-case basis, what the best course of action is to make your home as safe as possible. Fortunately, we understand the aluminum vs copper wiring situation and can provide homeowners with options for making their homes safer.